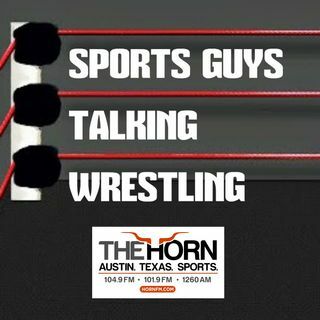 Central Texas' only pro wrestling radio show, Wednesday nights on The Horn 104.9FM in Austin. When we're not covering the sports world, we're talking pro wrestling. Hosted by Stew Myrick and Justin Simmons. SGTW Ep 160 Apr 3 2019 - IT'S WRESTLEMANIA (& G1 SUPERCARD) WEEKEND!